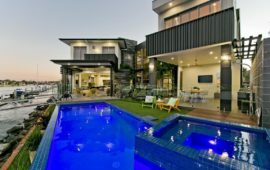 This stunning 2 storey modern concrete-built home provides contemporary beach living which functions as two separate living spaces. 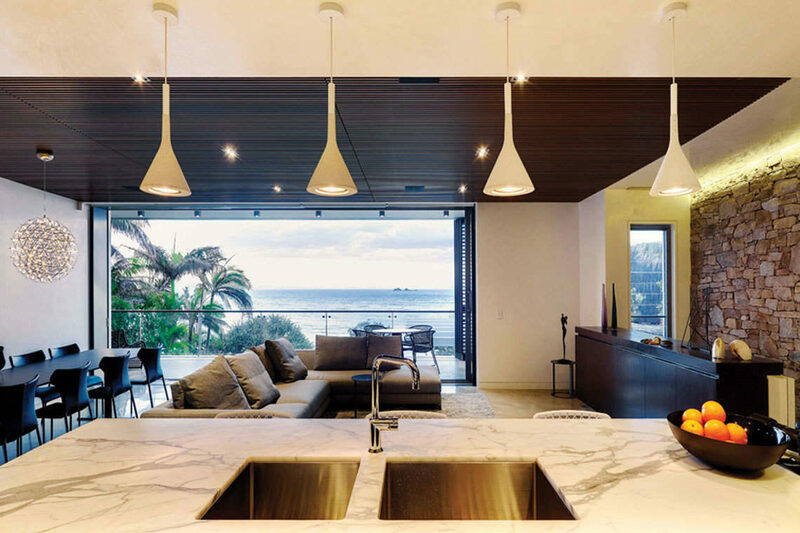 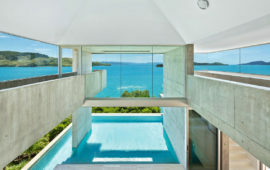 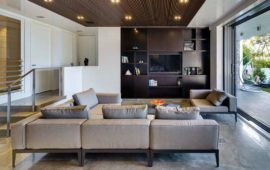 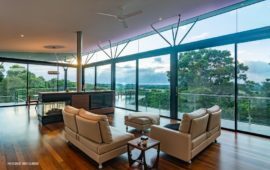 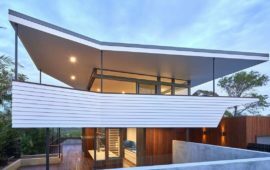 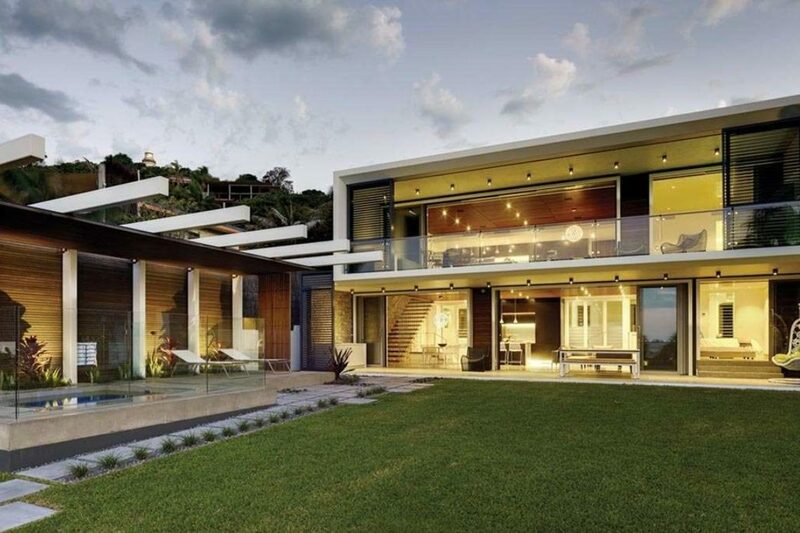 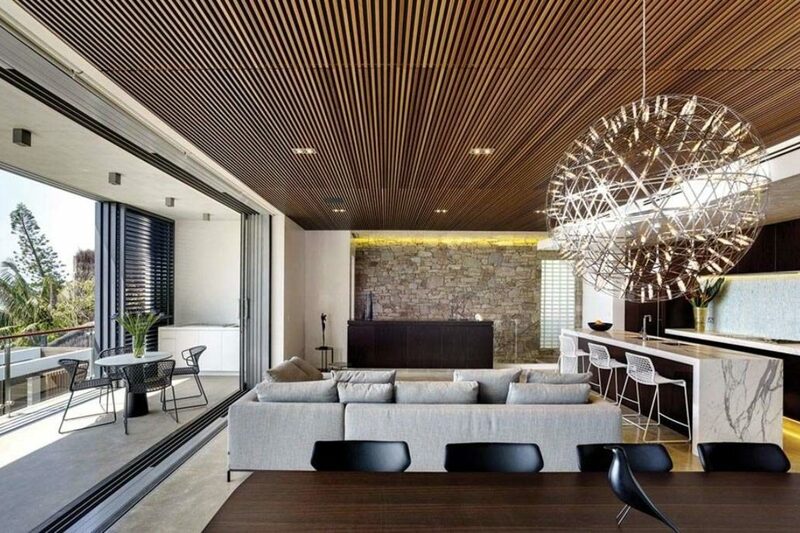 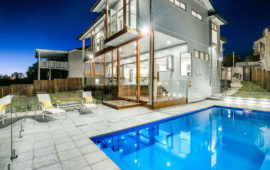 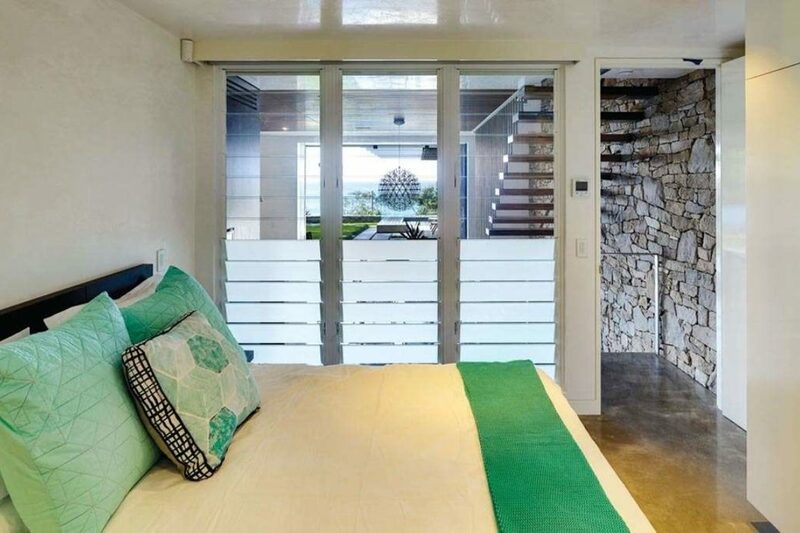 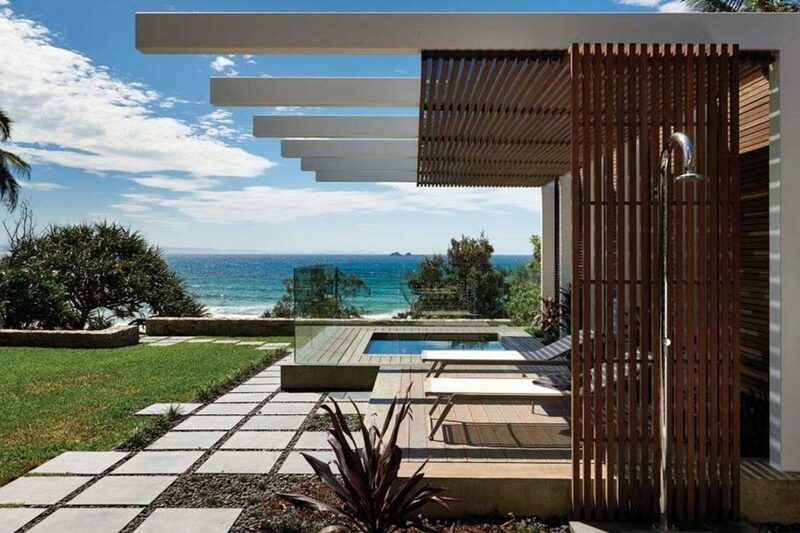 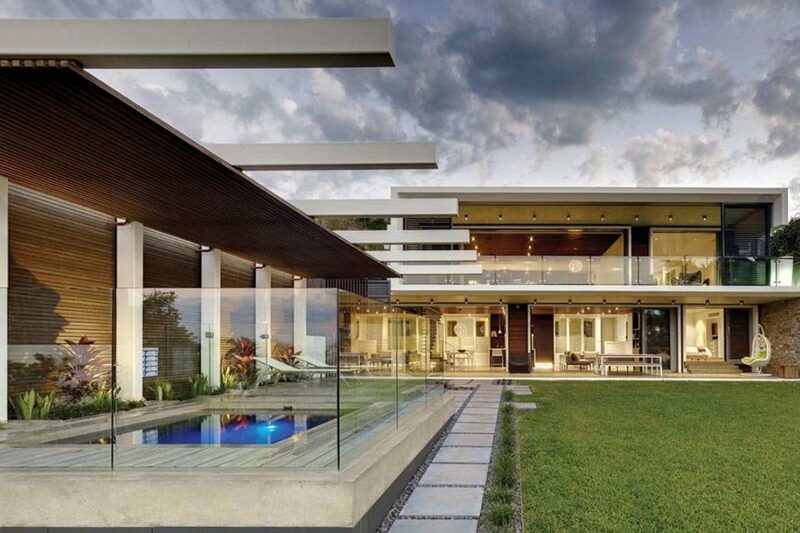 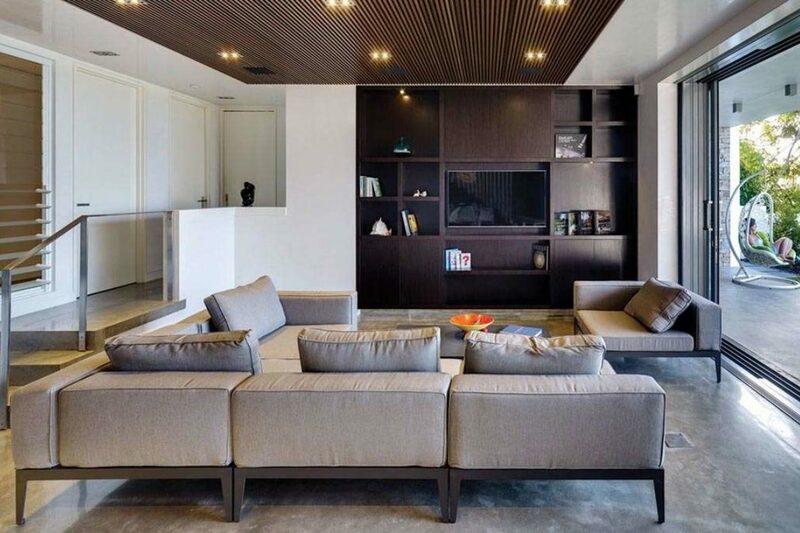 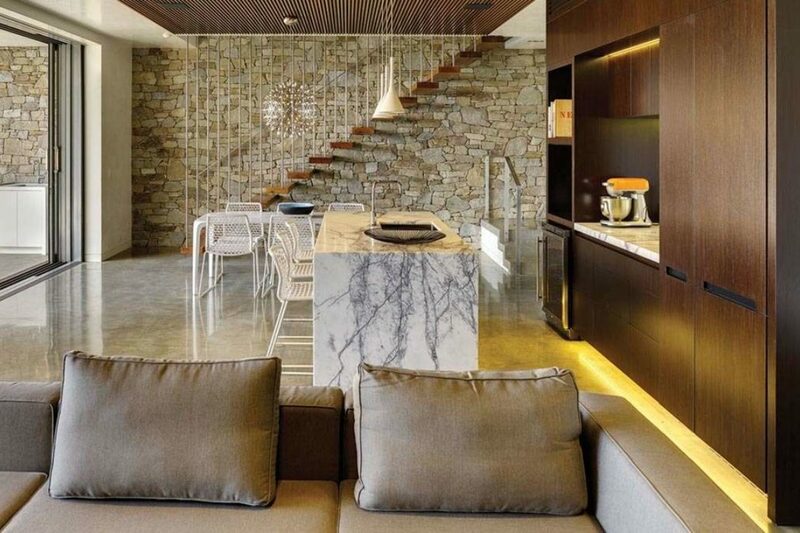 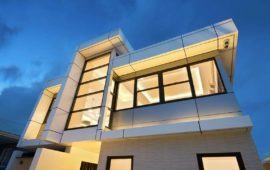 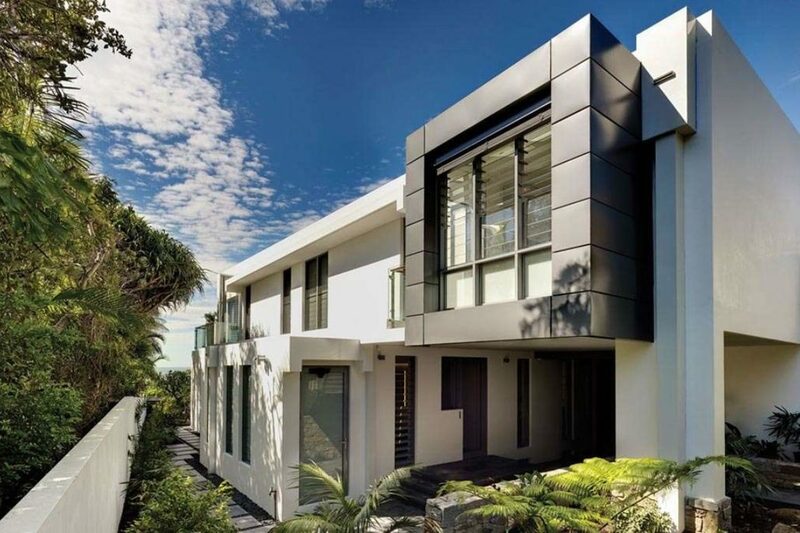 The design and the materials needed to address and withstand the harsh Australian and marine environment - hence the use of concrete, stone and hardwood throughout the whole house inside and out. 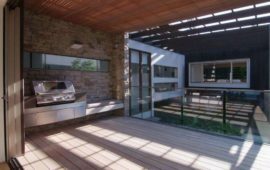 Commercial 400 series stacker doors were selected for the massive single-span of 8m wide at 2.8m tall in the living/dining area in an external-stacking configuration to clear the opening completely. 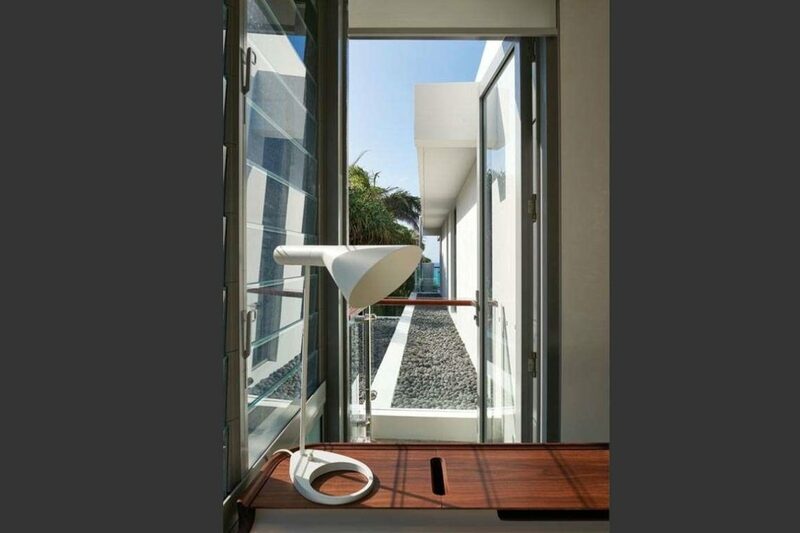 The stacker doors were optioned as bottom-rolling to save additional support required and utilise the ICON sliding door handle with its 300mm D-Pull providing ease of operation. 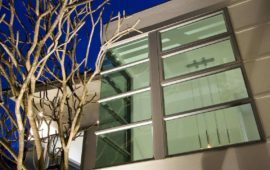 Centor screens were the only retractable screen up to the task of spanning these massive products to provide insect mesh without constant tension due to their integrated stainless-steel cabling system. 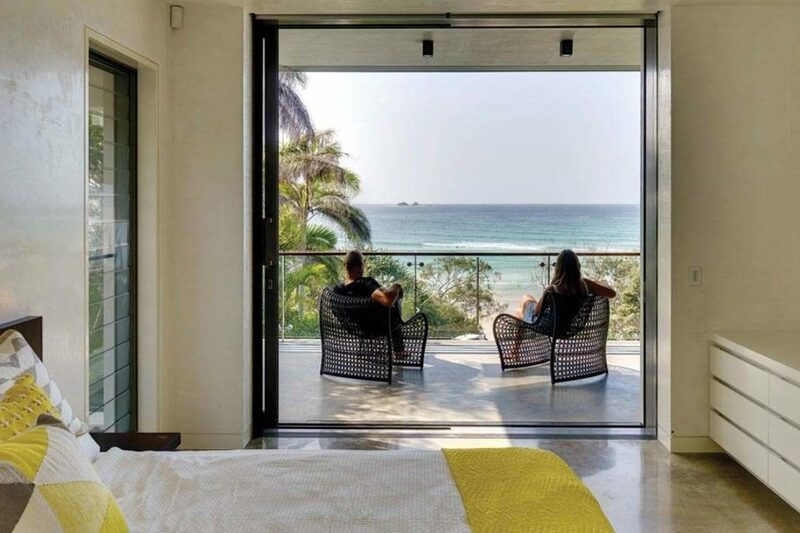 525 louvres are used throughout the rest of the home for maximum ventilation by leveraging sea breezes plus internal louvres in the bedrooms with translucent lower blades provide an open-air partition to the amazing sea views outside.